Much like the other grief-stricken Bollywood celebrities, Poonam Dhillon too has expressed her sorrow after the sudden demise of late actress Sridevi. She said, "Although I've worked with her in over five films, including 'Karma' (1986) and 'Sone Pe Suhaga' (1988), apart from also having had special appearances in her films like 'Paththar Ka Insaan' (1990) [Above], I would still describe Sridevi as a quiet, introverted person. I enjoyed a healthy working relationship with a majority of my other co-stars, even striking a friendship, but Sri was rather reserved. She was warm and friendly. She wasn't stuck up. But she had her reservations and boundaries. But, the moment the cameras would roll, she would magically transform into a vivacious, bindaas person, one that's quite at odds with her persona off-screen." Talking about Janhvi and Khushi Kapoor, the actress said, "Her loss will be acute and traumatic for her children. She was the closest to them, and that is heartbreaking. At this time, when they are vulnerable and only starting their career, they need their mother the most. I was an admirer of Sri, both on and off screen. She was magical. I don't think there was any role that she couldn't pull off. She was a director's dream actor. The loss is irreplaceable." Stay tuned for more updates. "...And if you really care about my mother half as much as you claim to; then you'd be filled with more love than hate for people that were in her life or people in general. You clearly don't know what she stood for if all you have in you is venom and judgement." #Sridevi rockin' #Filmfare covers during her abruptly halted second innings. She was coming in so strong - she could have single-handedly turned over ageist sexist #Bollywood with sheer grace and power of performance and her legendary beauty. Among the many tributes paid to Sridevi since her passing away, there was the In Memoriam section at the 2018 Oscars (held on Sunday, 4 March). Arguably the most visible global stage for cinema, the event paid its annual homage to film personalities who have left us in the year gone by with the usual simple montage of photographs and names, this time to the accompaniment of Pearl Jam’s frontman Eddie Vedder live in the hall singing Tom Petty’s 'Room at the top'. The words beside the late Indian legend’s picture, in keeping with the practice at the ceremony, read: “Sridevi, actress”. Not “Bollywood star” as she is being described by vast sections of the media and public in her home country and many media outlets abroad. Not “Bollywood’s first female superstar”, “female Amitabh”, “the real hero of her films” or “Rajinikanth and Kamal Haasan’s co-star” either. 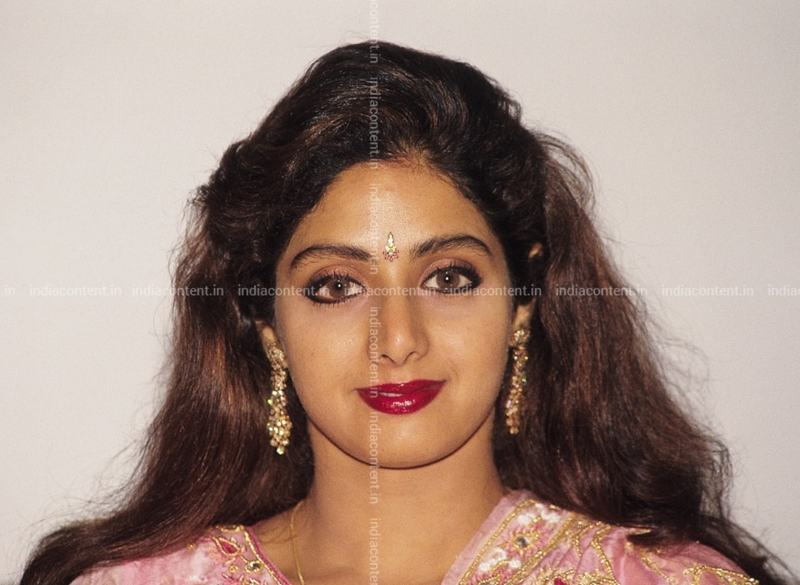 Just “Sridevi, actress”. The accuracy of the bare-bones description in that fleeting bow at the Oscars reminded me of the frustration of the previous few days as news platform after platform and members of the public condensed Sridevi to tags that did a disservice to her career while revealing so much about our factious nation: the north south-divide in India’s English media, the patriarchal gaze on artists, a disinterest in history and more. Never before, for instance, have the regional fissures in Indian journalism – and the resultant misinformation it spreads worldwide – been more evident to those who care to notice, than it has been in the coverage of Sridevi’s death. “Bollywood star no more” and variations of it ran as headlines and ticker lines across English newspapers and channels headquartered in Delhi and Mumbai when news broke of the actor’s untimely demise. 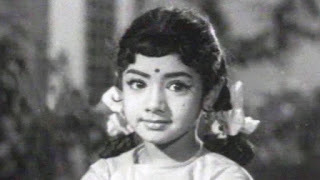 English publications based in southern India and some websites, on the other hand, noted her prolific filmography and stature across Kollywood, Tollywood and Bollywood in addition to the films she did – less in number, but enough to have left a mark – in the Malayalam and Kannada industries. The Chennai-based Hindu, for one, published informative reports about her pan-Indian presence including one about the Kannada film industry a.k.a. 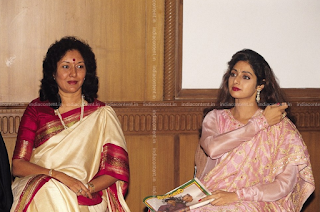 Sandalwood mourning her death at the 10th Bengaluru International Film Festival last week and another on how Sridevi always credited the Malayalam film industry a.k.a. Mollywood for nurturing her talent as a child. This was in addition to write-ups on her works in Kollywood, Tollywood and Bollywood. 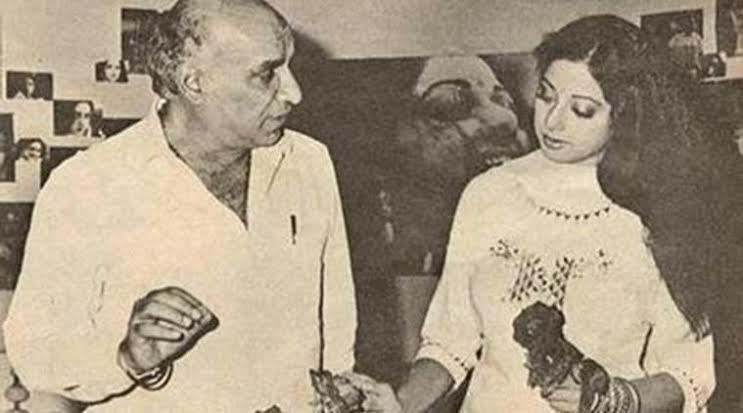 Among the most in-depth articles in the online media was Gita Aravamudan’s piece on Firstpost entitled, “In her South Indian films, Sridevi often out-performed veteran male co-stars like Rajinikanth, Kamal Haasan”. Still, my focus today on the Indian English mainstream media – that is, newspapers, magazines and TV channels – with head offices in the country’s political and commercial capital is intentional. It is English platforms that tend to call themselves (and be perceived as) the “national media” since English, unlike the rest, does not belong to any particular Indian state or region, and it is they that are consumed by the rest of the world’s media. It is the north-based English media that tends to be Bollywood-centric, unlike their counterparts in Bengaluru, Chennai, Kolkata and Hyderabad. It is they then who must be held accountable when their radar proves to be far from national, and stays confined largely to Delhi, Mumbai and, at best, the rest of the Hindi belt. Although this mindset was especially glaring in the aftermath of Sridevi’s death, it has been in evidence for decades in the reporting of politics, crime, cinema and all other areas. 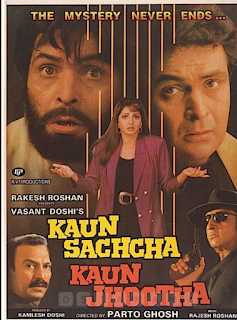 In cinema, for one, it is this Bollywood/Hindi/north-centricity that prompts so many Delhi and Mumbai-based print and electronic media outlets to ignore everyone but the Bollywood winners of the National Film Awards each year. It is this that has created the impression among the public in the Hindi belt that Bollywood is the country’s largest or only film industry, a false impression that has tainted international coverage of Indian cinema too. And it is this media that in this specific instance virtually erased over two-thirds of the 250-plus films done by Sridevi, when it chose to describe her as a “Bollywood icon” alone, rather than what she is: an icon of Indian cinema. 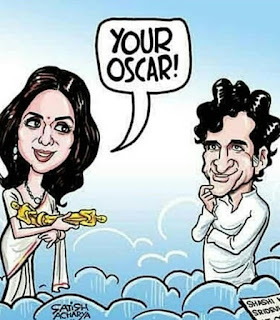 In doing so, the mainstream media in the north ended up missing the fundamental point about Sridevi’s legacy: that she has done films in five Indian languages (Tamil, Malayalam, Telugu, Kannada and Hindi) and was a superstar with a massive output in India’s three largest film industries, Kollywood, Tollywood and Bollywood, an achievement unparalleled in the history of Indian cinema. More than any of her colleagues living or dead, male or female, and in ways that no one else was, Sridevi was a pan-Indian superstar. In that sense, her career exemplified the diversity within Indian cinema. 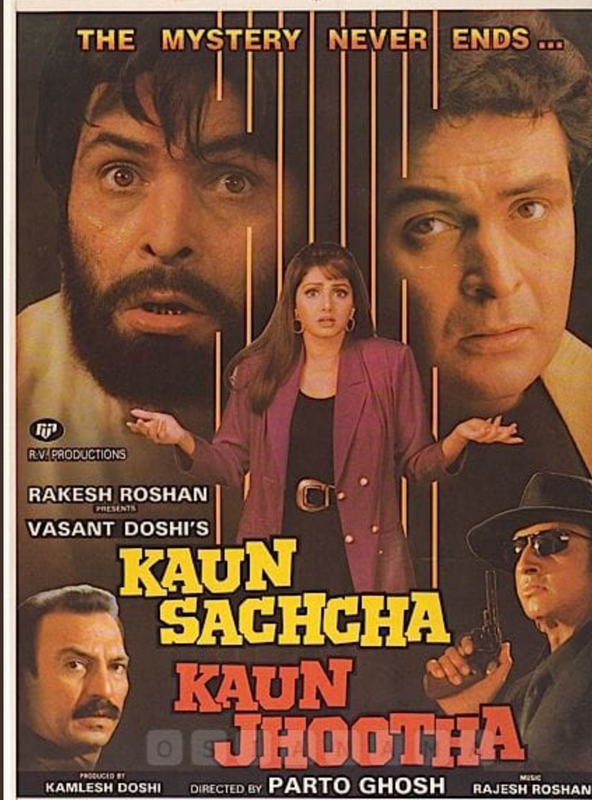 By reductively labelling her a “Bollywood superstar”, news chroniclers based in the north not only casually demeaned the cinemas of the south, they also robbed genuine film buffs in north India of exposure to her other works. Tragically, in addition, they have for decades failed to convey to the rest of the world the true uniqueness of Indian cinema: that we are the only country on the planet with multiple thriving film industries making films in multiple languages, each of which remains the preferred primary source of popular entertainment for audiences who speak those languages; a country whose film trade shows no signs of wilting under Hollywood’s budgetary and marketing might. 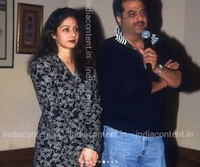 The unexpected quantum of coverage Sridevi’s death attracted across the globe could have served as an awareness-building exercise in this matter, but decades of misleading journalism by India’s north-based news platforms has ensured that abroad too, Bollywood is assumed to be India’s only film industry and Sri was remembered as a “Bollywood legend”. It was an opportunity lost. When I wrote an obituary for Sridevi on Al Jazeera headlined “Sridevi: a true pan-Indian superstar from Kollywood to Bollywood” and dwelt at length on this subject (in considerable anger, I admit) on my social media accounts, the reader response from north India was simultaneously heartening (barring a few instances of aggression) and saddening. Paras Rishi on Twitter wrote this gracious message from Mumbai: “Sadly, North Indian media like us North Indians is largely ignorant but our ignorance doesn’t contain any malice against South Indians. Till, this week I wasn’t aware ‪#Sridevi had ruled the South Indian Box Office for many years...” Numerous others inquired about where they might easily access Sridevi’s films outside Bollywood (tip: a surprising number are on YouTube with English subtitles). And a Delhi-based friend confessed to being unaware that upon her return to films following a 15-year hiatus, Sridevi had starred in the Tamil action adventure Puli in 2015 between the Hindi films English Vinglish (2012) and Mom (2017). For the record, reductionism around the Sridevi phenomenon was not confined to Delhi and Mumbai or to the media alone. If parochialism reared its head in the north, then across the map, we witnessed ahistoricity and patriarchy in descriptions of her astounding career path. Many among the masses and the media labelled her “Bollywood’s first female superstar”, blithely forgetting the first winner of the Dadasaheb Phalke Award, Devika Rani, or her successors Suraiya, Nargis, Vyjayanthimala, Hema Malini and other stalwarts from Bollywood (in Vyjayanthimala’s case, other industries too, although Bollywood dominates her filmography). Despite the social norms weighted in favour of men, these women blazed a trail across this industry before Sridevi arrived on the scene in the 1980s. In fact, women of Bollywood were not, in the initial decades, relegated to the margins as they have been since the 1970s when the strike rate of Amitabh Bachchan’s omnipotent Angry Young Man avatar prompted writers and directors to pretty much extinguish the powerful female presence in commercial Hindi films, the after-effects of which are being felt till date. Hema Malini, Rekha and Sridevi’s greatness lies in the fact that they rose to prominence after Bollywood became obsessed with telling stories of men through its male stars. To call Sridevi Bollywood’s “only/first female superstar” amounts to ignoring her predecessors and film history. It defies logic that anyone would feel the need to play down Sridevi’s female colleagues in order to play her up, since her track record was anyway so unprecedented in so many respects. 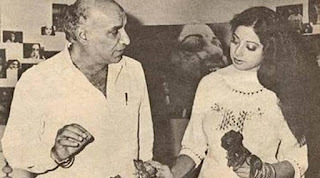 Yet oddly enough, while displaying a fading memory in the matter of women from Bollywood’s past, the mass recollection of Sridevi downplays her greatness in other ways, governed as it is by deeply ingrained patriarchal attitudes. The “female superstar” badge, for example, is relevant in discussions about her success in the context of a male-dominated industry, but when that becomes the only label by which you describe her, you show a reluctance to see her work outside the context of gender. No doubt her superstardom as a woman in a man’s world is a sub-set of her achievements, but she was larger-than-life across genders and the hesitation to acknowledge this mirrors a worldwide hesitation to acknowledge the achievements of persons from marginalised groups beyond the confines of their gender, sexual orientation, race, religion, ethnicity or caste. 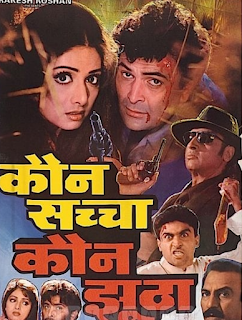 Sridevi was a rarity on the Indian film firmament. She did not become recognisable across the country because of her box-office hits in one Indian film industry alone; she was a box-office magnet across several, including, I repeat, India’s three largest industries, Kollywood, Tollywood and Bollywood. 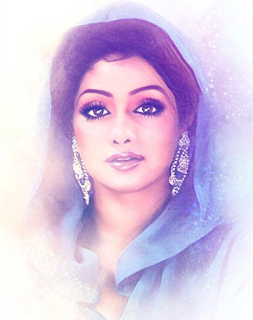 No MGR, NTR, Bachchan, no Rajinikanth, Mohanlal, Mammootty, Khan or Kapoor has managed to achieve that – the aim here is not to diss these remarkable male artistes but to underline the magnitude of Sridevi’s triumphs in a patriarchal society where numerous advantages automatically accrue to men while the biggest of women actors struggle to get roles of substance. Male supremacy is so acutely embedded in our collective subconscious that even liberals who reject such gendered labelling can often be heard qualifying a female superstar’s success in terms of the number of male superstars she got to work with. 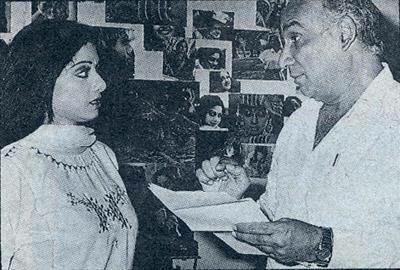 “Sridevi was a big star down south. She had acted with the likes of Rajinikanth and Kamal Haasan,” has been a common refrain in recent days. Imagine a situation where Haasan or Rajinikanth’s success is measured by listing out the female superstars who co-starred with them. 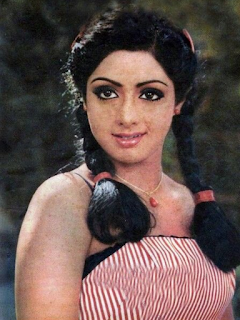 Over the past few days, I have lost count of the well-meaning people describing Sridevi as “the real hero” of her films and a “female Amitabh Bachchan”, as if maleness is an adjective for accomplishment. This is not a new development confined to cinema. When Indira Gandhi was India’s prime minister, it was widely seen as a compliment to her decisiveness and vote-catching abilities to call her “the only man in her Cabinet”. And fearless women are even today described as “having balls” or as brave “despite being a woman”.